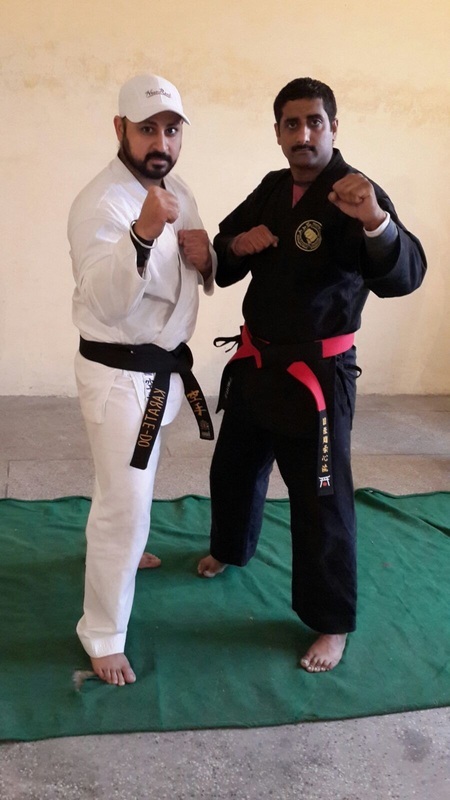 Sensei Baljit Singh black belt from GOJU RYU KYOKAI running dojo under banner of SCHOOL OF TRADITIONAL MARTIAL ARTS INDIA in Yamuna nagar Haryana. He started Karate-Do since 1998. When he started his training in 1998 he didn't thought to train this long, but the dedication, motivation and commitment to be the best never went offline so thing went on a better path. As a Martial Artist and coach Baljit Singh never took this path for sake of money, Sensei Baljit Singh runs STMA INDIA as a non-profit martial arts academy with just a nominal fee which is used by utilities and equipment at below mentioned address. Sensei baljit singh ensures the training to be the best for the students whether it be close combat, traditional Karate-Do Goju Ryu Kyokai, power training or grooming of confidence and skills of survival with one or multiple opponents.